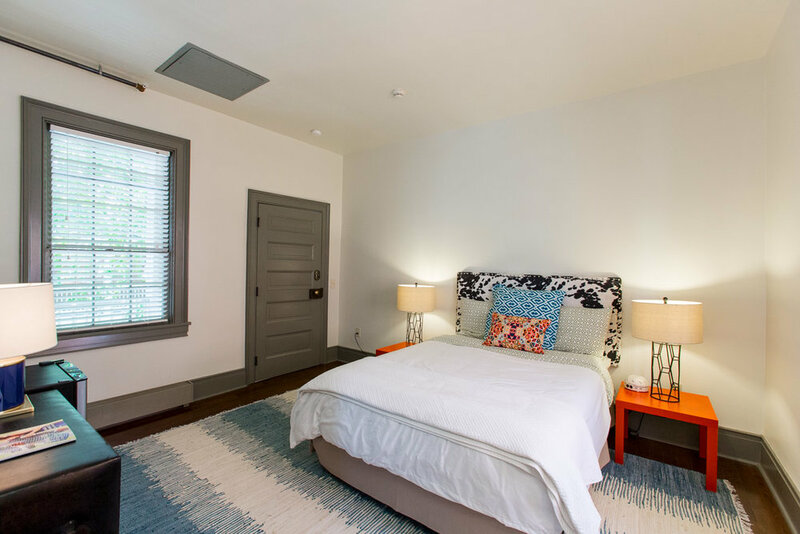 Historic Howard Hardy House is a boutique hotel located in Louisville, KY.
Hidden from view and closed off to the public, the backside at Churchill Downs is the hub of the horsing world. It’s where it all starts and ends. The same goes for The Backside Suite, which is aptly located on the back side of the building. 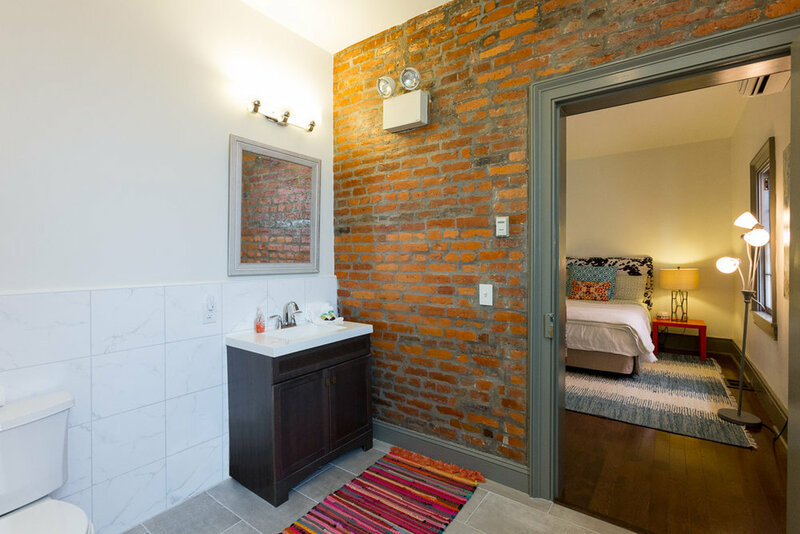 An intimate space with standout details, such as exposed brick in the bathroom, this suite is a perfect place to begin and end your day’s work (or play) in Louisville.